Since you're visiting us here at Crutchfield, I'm thinking that you value good TV sound. Since you're visiting us here at Crutchfield, I'm thinking that you value good TV sound. But that doesn't mean you want your living room filled with large speakers — or wires running to the back. 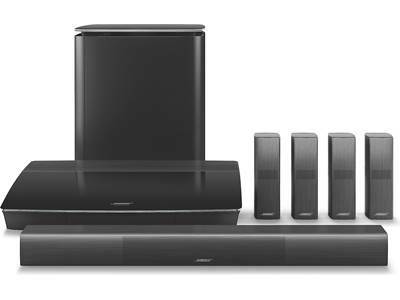 The Bose® Lifestyle® 600 home theater system gives you a full wraparound cinematic experience without adding a ton of clutter. 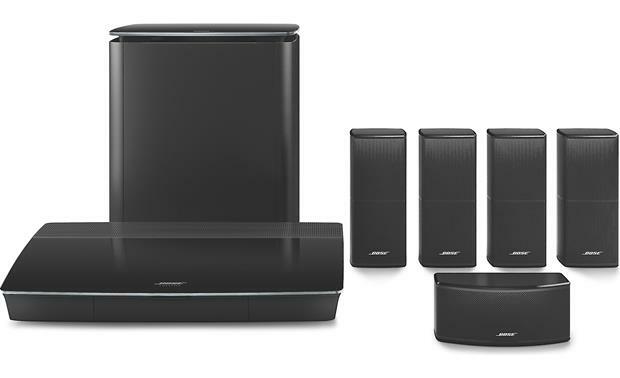 The easy-to-setup Bose® Lifestyle® 600 system delivers big sound for movies, shows, and music. Bose® SoundTouch® technology gives you an easy first step into whole-house music. It lets you stream online music services like Pandora® and Spotify® over Wi-Fi®, along with your library of downloaded songs. Built-in Bluetooth® lets you pair your phone to listen to any app you choose. Expand your system into different rooms by adding other SoundTouch® speakers. A helpful mobile app guides you through setup step by step, and it lets you control your whole system with your phone or tablet. Six preset buttons on the included remote give you quick, easy access to your favorite albums, internet radio stations, or playlists. 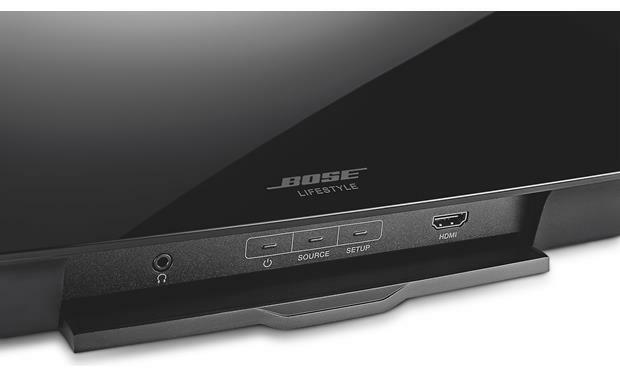 Bose® can take cutting-edge stuff and make it really simple to use. For example, you can just plug all of your audio/video sources into the Bose® Lifestyle® 600's media control console and let the built-in Unify® technology take over. There are six total HDMI inputs – all 4K-ready. The system sends all connected video sources to your TV via a single HDMI connection, with resolution up to 4K. The company's ADAPTiQ® auto calibration technology ensures high-quality performance throughout your specific TV room. This technology automatically optimizes the system's settings for your room's unique size, shape, and furnishings. You get consistently good sound, wherever you're seated. Love the Bose Lifestyle 600! I have difficulty hearing words on all TV's, this system is incredibly clear and precise and I have little if any difficulty hearing words and speech. I highly recommend Bose 600! 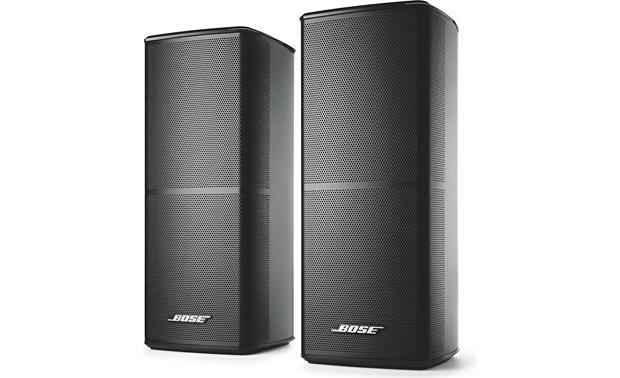 Jewel Cube Satellite Speakers: The Bose Lifestyle 600 features five redesigned Jewel-Cube speakers; two vertical front speakers, one horizontal center speaker, and two vertical wireless rear speakers. These Jewel-Cube speakers provide spacious sound throughout the room; not just in one small "sweet-spot". You'll hear your movies, music, games, and sports come to life in convincing detail. 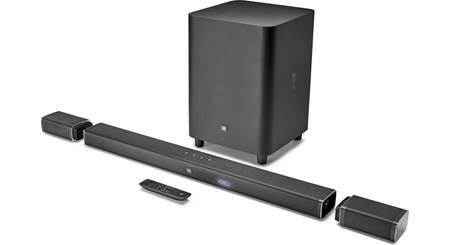 Wireless Rear Speakers: The front left/right satellite speakers and the center speaker need to be hard-wired to the Control Console (20' speaker cable included). However, the rear speakers connect wirelessly to the Control Console using the included wireless receivers. Thanks to the included wireless receivers, you will not need to run speaker wire from the surround speakers back to the Control Console. However, you will still need to run speaker wire from the surround speakers to the wireless receivers and plug the wireless receivers into AC outlets. The wireless receivers have a range of about 33' and connect via a proprietary 2.4GHz RF signal. 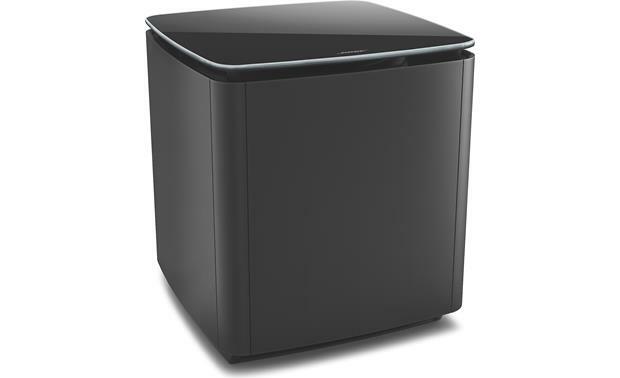 Wireless Acoustimass Module: The system's Jewel-Cube speakers work in concert with the included Acoustimass wireless bass module to deliver a fuller range of theater sound and effects. This newly designed Acoustimass bass module delivers a dynamic range of bass from a powerful 10" driver and generously sized port with QuietPort technology that virtually eliminates distortion. The wireless range between the Acoustimass bass module and the system's Control Console is approximately 10'. If you prefer a hardwired connection, the Acoustimass bass module can be wired to the console with a minijack (3.5mm) audio cable. Note: An available firmware update lets you pair a second Acoustimass wireless bass module (sold separately). ADAPTiQ Audio Calibration: The ADAPTiQ audio calibration system is a proprietary Bose technology that customizes the Lifestyle system's sound to the unique size, shape and furnishings of the room it's in to ensure it delivers a high-quality performance. To perform this audio calibration, you need about 10 minutes when the room is quiet. While wearing the special headset, the system will ask you to place yourself in five different locations (sitting or standing) in your listening area as the system takes measurements in each. Audio prompts from the system will guide you through the process. Tone & Level Controls: The bass can be controlled with the bass button on the universal remote control or via the settings menu in the SoundTouch app. The bass, treble, center and surround levels can be adjusted through the universal remote control. Mounting & Placement Options: The Jewel Cube satellite speakers can be simply table-top mounted, or you can mount the speakers on wall-brackets, floor-stands, or table-stands (all sold separately). The Acoustimass wireless bass module is meant to be placed on the floor (not on a shelf or table). Place the front speakers equidistant to the left and the right of the TV. Place the center speaker on a stable and level surface directly above or below your TV, centered with the screen. Place the wireless rear speakers toward the back of the room just behind the listening area at ear height (when seated) or higher, if possible. You will need access to an AC power outlet for both speakers. 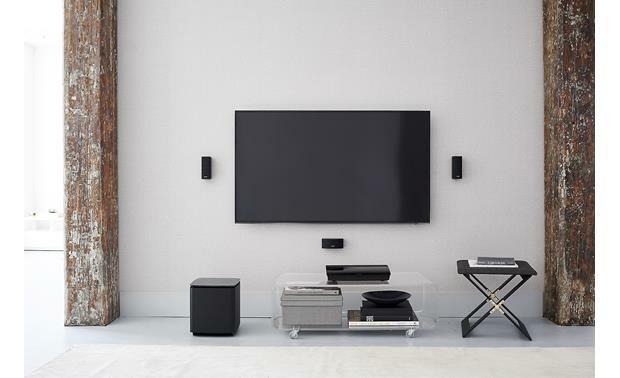 For best sound quality, the Acoustimass wireless bass module should be placed on the floor against the same wall as the television and center channel, with an electrical outlet nearby for the power cord. Control Console: All of the Bose Lifestyle 600 system's audio/video inputs and outputs are found on the included Control Console. The Control Console is outfitted with HDMI 2.0 connectivity, optical & coaxial digital inputs, analog inputs, Ethernet jack, headphone jack, and speaker outputs. It also features built-in WiFi and wireless transmitters for the Lifestyle system's rear speakers and Acoustimass bass module. HDMI 2.0a: The Control Console is equipped with six HDMI inputs (5 rear/1 front) and one HDMI ARC monitor output. The system's HDMI jacks support the latest HDMI 2.0a specifications with 4K/60Hz pass-through, HDCP 2.2 compliance, & HDR video support. 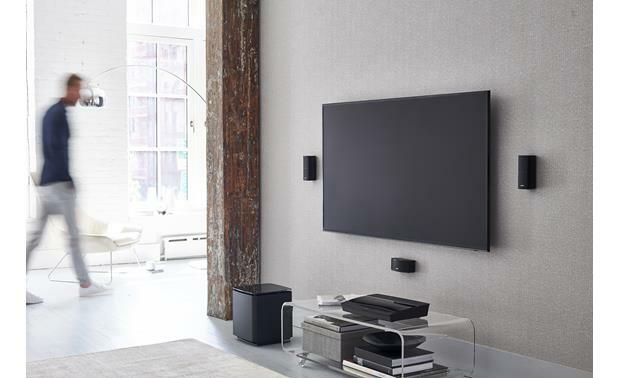 4K Pass-Through: The Lifestyle 600 lets you maintain 4K quality from source to screen by allowing 4K video to "pass-through" and be displayed on a 4K TV or projector, without compromising image quality. Giving you the pure 4K experience makes this system the perfect partner for 4K-capable TVs and Ultra-HD Blu-ray players. 480i, 480p, 720p, 1080i, and 1080p video signal are also supported (there is no upscaling). HDCP 2.2: HDCP 2.2 is supported by all of the system's HDMI jacks. HDCP 2.2 is short for "High bandwidth Digital Content Protection" and is used for 4K video copyright protection for compatibility with Ultra HD Blu-ray players, 4K Satellite/Cable providers, and 4k online video services. Note: The Lifestyle system does not offer analog video inputs and does not support upscaling of video. 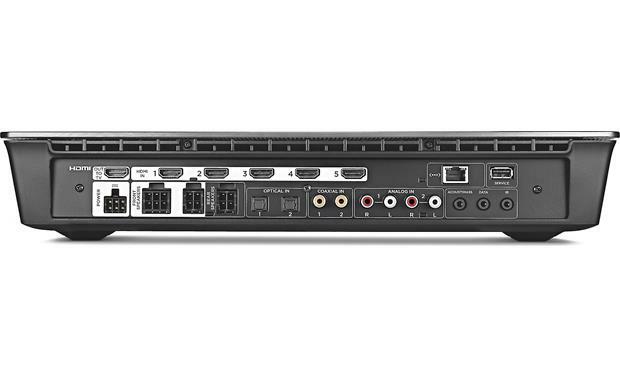 Dolby Digital & DTS Compatible: The Lifestyle 600 supports Dolby Digital, Dolby Digital Plus, Dolby TrueHD, DTS, & Multichannel PCM audio via its HDMI inputs and output. ARC (Audio Return Channel): This feature of the system's HDMI output allows audio to be sent from your ARC compatible TV to the Lifestyle 600 system through the same HDMI cable already being used to send audio and video to your HDTV. This eliminates the need for extra cables connected to your television. Optical & Coaxial Digital Inputs: The Lifestyle 600's Control Console provides two Optical (Toslink) and two Coaxial (RCA) digital inputs. These digital inputs will support Dolby Digital, DTS, & 2Ch PCM audio. Dual Analog Inputs: The Control Console is fitted with two stereo analog RCA audio inputs for connecting legacy devices. Front-Panel Headphone/Aux Input: The Control Console's front-panel minijack (3.5mm) input can be used as a headphone jack (default) or Aux input. 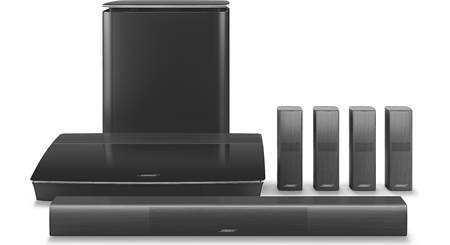 SoundTouch Wireless Audio: The Lifestyle 600 is part of the Bose SoundTouch wireless music ecosystem which allows you to play music throughout your home. The SoundTouch ecosystem is able to stream music wirelessly throughout your house over your home's WiFi network; it even works with your Bluetooth devices. With SoundTouch, you can stream Internet radio, select music services, and your music library throughout your home. A free Bose app transforms your Apple iOS or Android mobile device into the system's remote control. 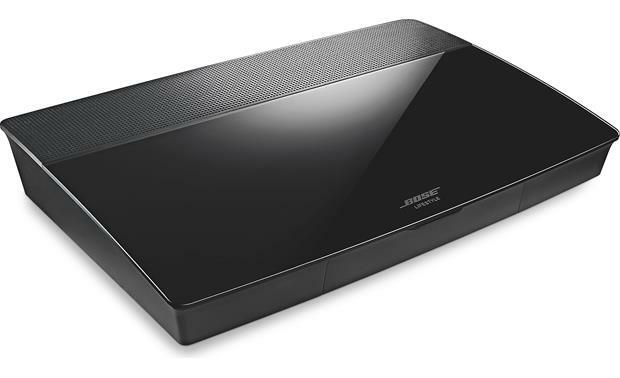 Wired or Wireless Network Connection: The Bose Lifestyle 600 system offers a wired (Ethernet) or wireless (WiFi) connection to your home network. The Lifestyle 600 features an Ethernet R-J45 port and built-in WiFi (802.11 b/g/n; 2.4/5.0GHz). 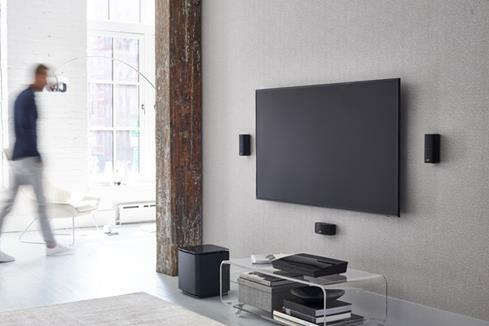 The Lifestyle 600's network connection can be setup initially from the SoundTouch Controller App on your Apple iOS (7.0+) device or Android (4.1+) smartphone/tablet. Bluetooth Music Streaming: With built-in Bluetooth, the SoundTouch system wirelessly plays back stored music and music apps from your Bluetooth-enabled Apple iOS iPod/iPhone/iPad, Android smartphone/tablet, Windows Phone/PC, Mac computer/laptop, or other Bluetooth compatible device. You can pair up to eight devices (via SSP or NFC) with one actively connected. Note: HDMI inputs, as well as optical & coaxial digital inputs do not support multiroom audio. Six Presets: You can personalize six presets to your favorite streaming music services and Internet radio stations, or playlists, artists, albums, and songs from your computer's music library. The presets can easily be set, changed, and accessed directly with the included remote control or the free SoundTouch app on your Apple iOS iPod/iPhone/iPad, Android smartphone/tablet, or Windows/Mac computer. You cannot set presets to a Bluetooth or AV connected source. RF Remote: The Bose Lifestyle 600 system's advanced RF (radio frequency) remote control works from practically anywhere in your room (up to 33') without requiring you to aim the remote at the Control Console. LCD Screen: The remote control's LCD screen guides you through your sources and system settings. A power saver mode conserves battery life by dimming the brightness of the remote control's LCD and adjusting the duration that the display remains actively lit. Glow Button: Pressing the glow button on the rear of the remote illuminates the remote's buttons and display. The light turns off automatically after several seconds to pro long battery life. IR Emitter: The remote control also offers IR commands using the included IR emitter cable to control up to three connected IR devices. Unify Technology: Unify Intelligent Integration System uses on-screen navigation to simplify system setup & everyday use. This proprietary technology walks you through setup, showing the right inputs & best connection options, & even verifies you've done it correctly. Clear, on-screen menus provide all the information you need for your connected sources. The Unify system is available at any time to help you connect and/or disconnect your entertainment sources and even program the remote. System Setup: Once an HDMI video connection is made between the Lifestyle 600's Control Console and your TV, the Unify system walks you through initial system setup, step-by-step. As you're connecting components to the control console, the system recommends the best connectors via on-screen messages. It even confirms that the connection was made properly. Auto Input: Each device is then automatically added to the source menu accessed on your TV screen. No more toggling through video inputs to find the right source. If you add a Blu-ray player, it will be shown as "Blu-ray" in the on-screen menu. This makes it easy & intuitive for anyone to use the Unify system. Remote Programming: The system's Unify technology simplifies programming the Bose remote to control the Lifestyle system and your components attached to it. 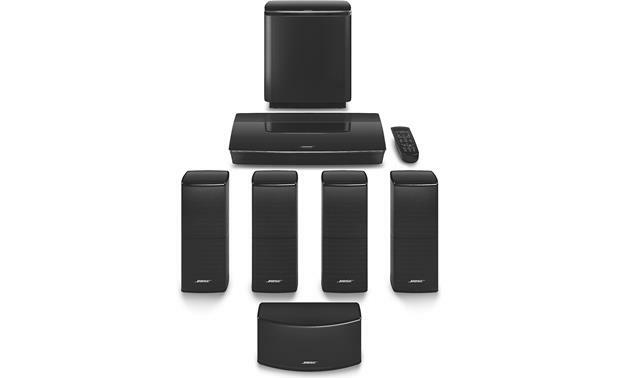 During setup, the Unify system references an internal database to identify each connected component, and automatically teaches the Bose remote to control it. HDMI-CEC: HDMI-CEC allows you to easily manage and operate the Lifestyle system along with an HDMI-CEC compatible TV, Blu-ray player, satellite receiver, and cable box with a single remote; when all components are connected via HDMI. HDMI-CEC is supported by all the system's rear-panel HDMI inputs, but not the front-panel HDMI input. USB Port (Service Only): The system's USB-a port is for service only. The USB-A port is not designed to playback or charge smartphones, tablets, thumbdrives, or other similar devices. can I hardwire the rear speaker or am I required to use the wireless adapters? 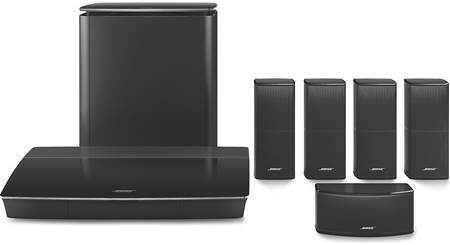 At this time Bose doesn't offer a hard-wired solution for the rear speakers in their new Lifestyle 600 system. If you would like to discuss further, please feel free to contact an Advisor directly by phone (1-800-324-9695) or online chat. Do you need a receiver to drive it? Is the Lifestyle 600 offered in white? Thanks for your question. Unfortunately Crutchfield only has it available in Black. Hope this helps. 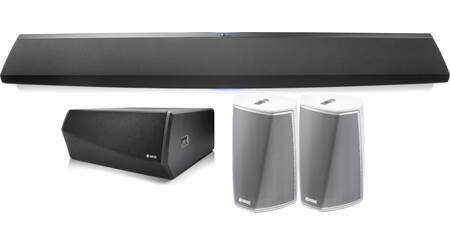 Searches related to the Bose® Lifestyle® 600 home theater system .